Good morning! I hope you’re having a great week. Mine is good. Had a lovely date night with the hubs last night. 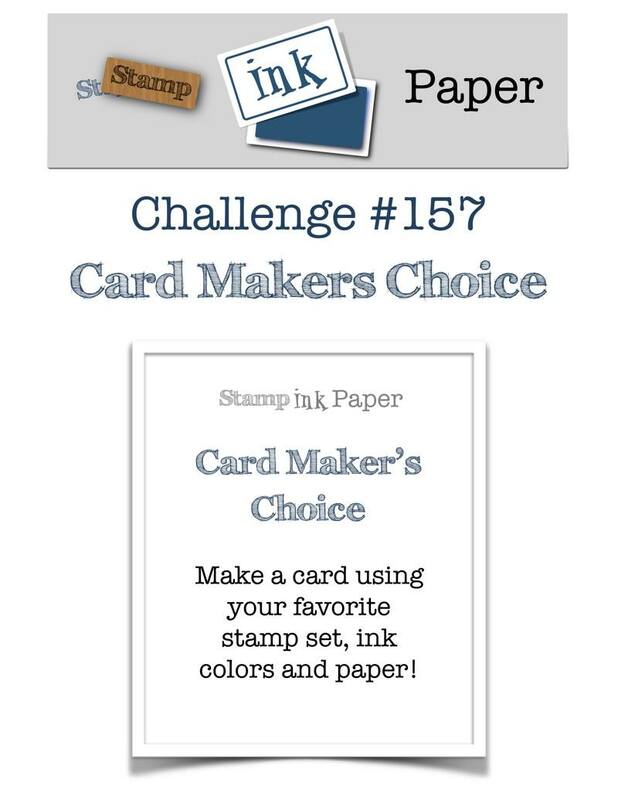 Today it’s Cardmaker’s Choice at Stamp, Ink, Paper. My choice is one of my favorite cards I’ve made lately. 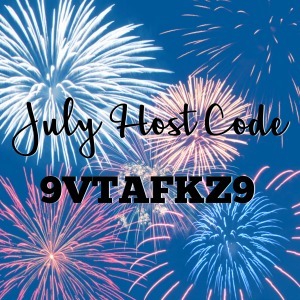 We’d love to see what you make this week, so please play along! I had so much fun with this card! I didn’t really know what my sentiment would be until I was ready to put one on. 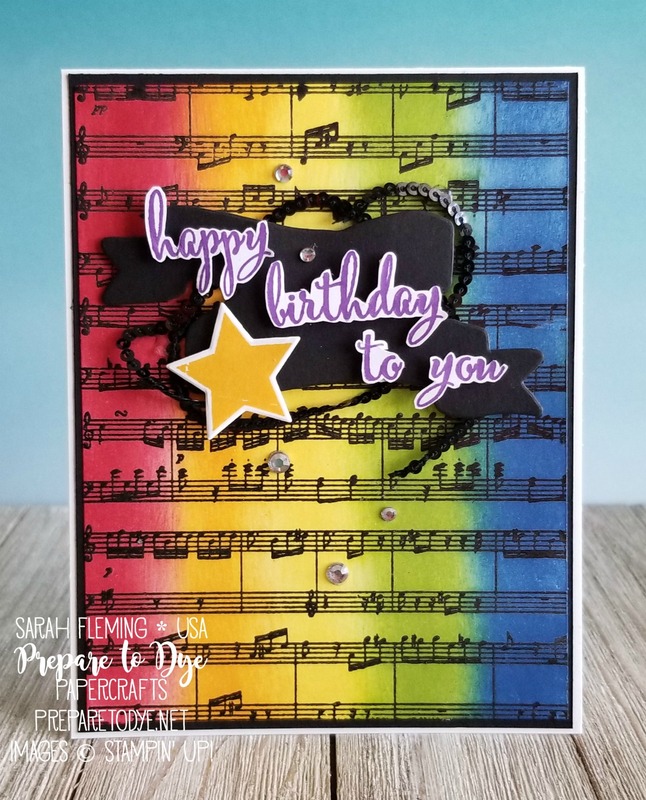 I first heat embossed the Sheet Music background stamp in black, then sponged color straight down the card in columns using a Stamping Sponge. My colors are Real Red, Mango Melody, Pineapple Punch, Granny Apple Green, and Blueberry Bushel. For the sentiment I used the Make A Difference stamp set and Gorgeous Grape ink. 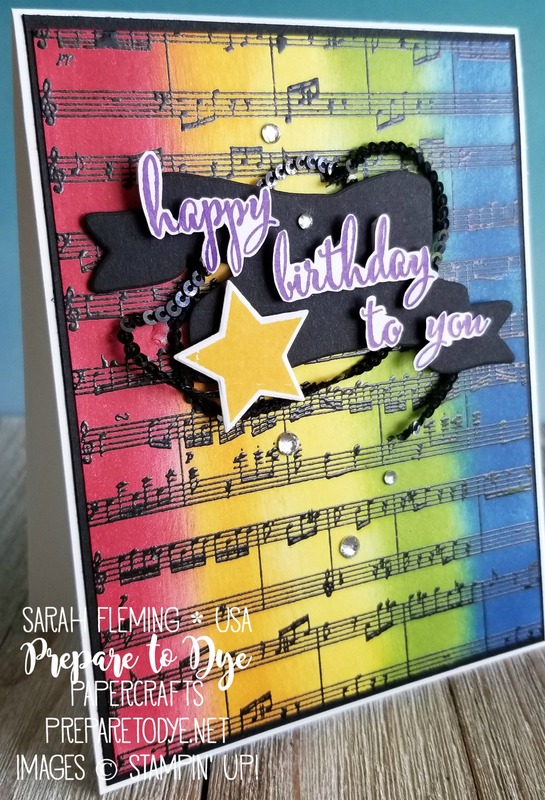 I mounted the sentiment on a banner from the Bunch of Banners framelits and added Black Mini Sequin Trim behind the banner before attaching it to the card with Dimensionals. It needed a little something more, so I stamped and cut the star using the Wood Words stamps and Wood Crate framelits. I mounted the card on Basic Black cardstock and a Thick Whisper White card base, then finished the card off with some rhinestones.